A Cadillac Sixty Special from 1956. 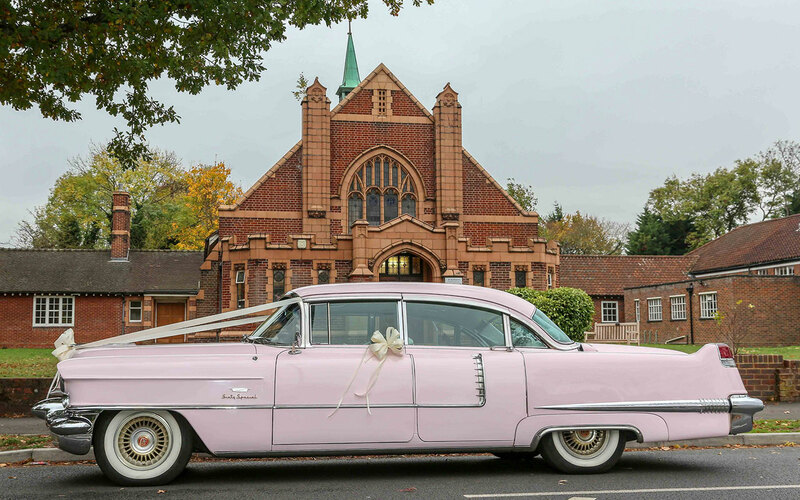 Rosabelle is an immaculate Elvis replica in beautiful rose pink. 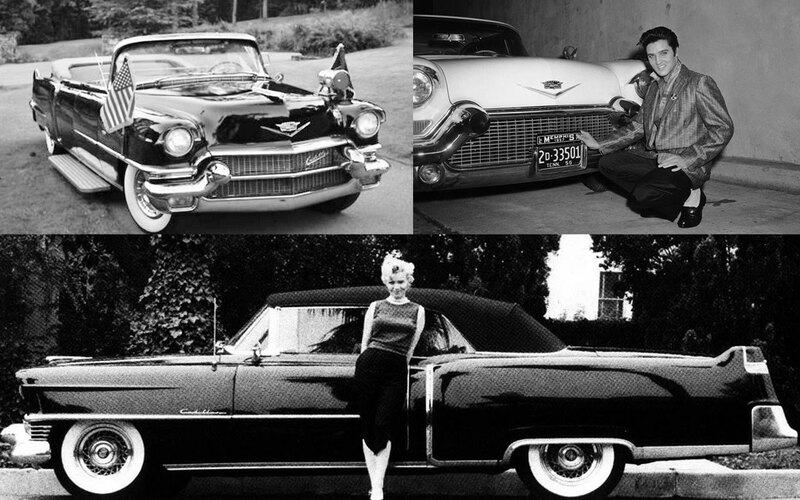 A Cadillac Coupe De Ville from 1958, Toribelle spent her last 5 years on display in a New York museum, before making her journey to the UK. Are you bored of looking at conventional cars such as the Rolls Royce and Bentley for your special occasion and want something different? Well, 1950’s vintage is as cool as it comes! So why not let Memphis Belles turn back the clock and take you cruising in one of our fantastic 1950’s classics? Our ‘Cadillac Coupe De Villes’ are striking and you certainly will be the focus of everyone’s attention. At over eighteen-feet long these cars have a real presence on the road. In their day they cost twice as much as the average home. 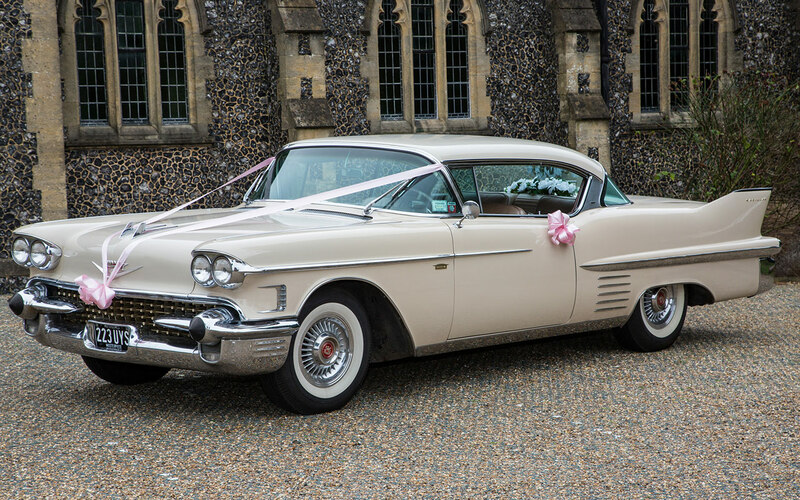 The Cadillac badge has come to signify both elegance and style, from the sumptuous seats, to the gleaming chrome fenders, rocket fins and bullet lights; these cars make a statement that others seek to emulate. 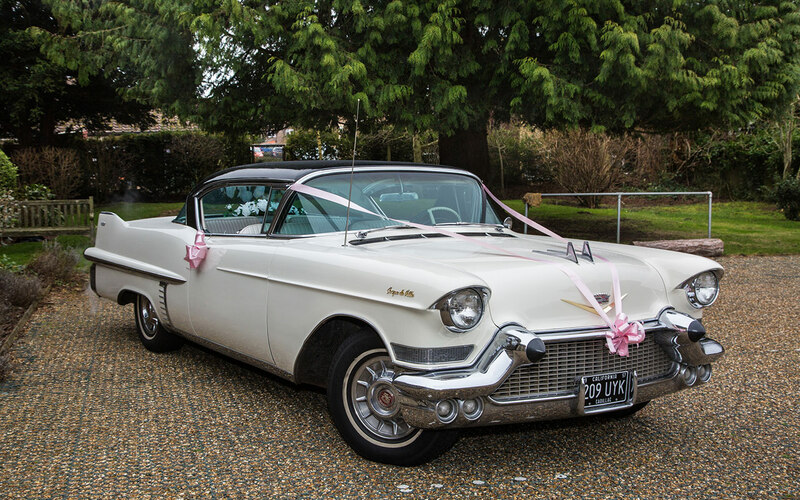 When you hire a Cadillac for your special day you follow other esteemed owners who include the President of the United States, film stars such as Marilyn Monroe and Paul Newman as well as music legends like Elvis. Memphis Belles would love to be a part of your big day! Join the conversation online! Follow Memphis Belles Limited.